Did you know that being creative enables children to make connections between one area of learning and another? This includes art, music, dance, role-play and imaginative play. Therefore, creating a novel environment for your child has a huge impact on their imaginations, giving them the opportunity to develop lifelong talents, such as creative thinking and problem solving skills through an atmosphere that’s full of creativity. So, why not start creativity in your child’s bedroom? After all, kids spend significant amount of time in their bedrooms playing, socialising, studying, and relaxing. Nurture your child’s creativity at home, by creating that novel environment with a sense of purpose and dedication. Regardless what a child does in a bedroom, their space should be designed and created with “them” in mind. 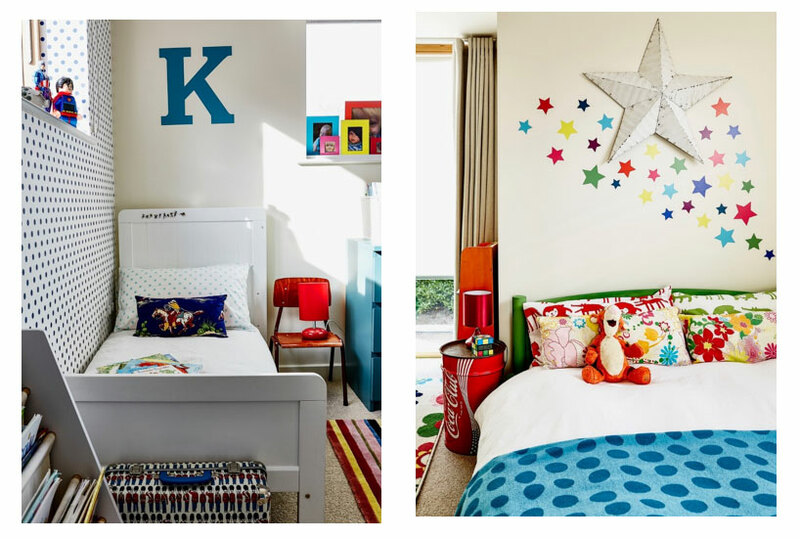 Amongst child psychologists, interior designers, and parenting experts, there is a consensus that a kid’s bedroom should reflect a child’s personality. A 21st century modern kid’s bedroom should be multi-purpose, multi-functional, but stylish, fun, comfortable and cosy too. Many interests are short lived but there are some really exciting kid’s bedroom interior design ideas, including boy’s room and girl’s room that you will love for many years. Babios (www.babios.co.uk) has collaborated with some of the most established interior designers in the UK to showcase a first-hand experience of interior designs created for kids. When I design for babies, kids and teenagers, my aim is to create unique spaces full of personality that will can grow with and adapt to the child, and meet their needs throughout the various stages of their childhood. Wallpaper is a fantastic way to inject fun and colour into a scheme, but I avoid specific characters and themes as these always have a short lifespan where kids are concerned. Instead, bold spots, stripes or quirky animals – House of Hackney’s ‘Hackney Empire’ collection or Cole & Son’s ‘Flamingos’ for example – can work really well. Wall stickers are also great fun, and easily removed when an update is wanted. I also love using colourful furniture in a scheme. It can really pop against a more neutral background. Feather & Black’s ‘Oliver’ Children’s Bed is a great favourite of mine. Storage is also key. Colourful plastic trugs, under-bed pull out drawers, hanging storage bags like those from stuffel.co.uk and stools with internal hidden storage – blueticking.co.uk do a great range – are all fantastic ways of helping kids keep clutter at bay. It’s all about having fun and keeping beige at bay!